EDITORIAL – Why do we need to wear dead animals for fashion? A RECENT LAWSUIT resulting from the death of a dog in an animal trap has raised the issue of mandatory warning signs where the traps are set. The trap named in the lawsuit is one that was designed to be a more humane trap than the old leghold variety still in common use on traplines across the country. But is there any such thing as a humane animal killing trap? It can be argued that any trap designed to snare or snap onto a furbearing animal is going to cause pain and suffering. It can also be argued, of course, that the trapping of furbearing animals is absolutely necessary in some instances, such as when beaver interfere with man-made dams, or when predators endanger livestock. Methodology is always an issue no matter what the purpose, but the commercial fur trade is hard to defend under any circumstances. That industry is based on the deaths of millions of animals just so people can wear them as fashionable clothing. We’re a contradictory bunch, we humans. We love our pets, we fight to protect wolves and bears and other wildlife, but we willingly slaughter various creatures not because we need to but because of our own vanity. Really, do we need to wear dead animals? Some will say our very economy began with the fur trade and there’s much truth in that. According to the Fur Institute of Canada, the fur trade — including fur farms — contributes almost $1 billion a year to the Canadian economy. That may be, but times change and I can’t help but think we’d be just fine if we stopped killing animals for their pelts. And it’s a certainty the animals would be much better off. 3 Comments on EDITORIAL – Why do we need to wear dead animals for fashion? A little to “holy” for my taste.WE all kill to live. Killing for fur coats is hardly killing to live. And the way in which we kill is important. Take a look at the suffering caused by leghold, snare and other traps used in traplines, then re-assess your comment. I do not support the killing of animals (wild or otherwise). Wild animals do have a normal life on earth until they are killed in traps. 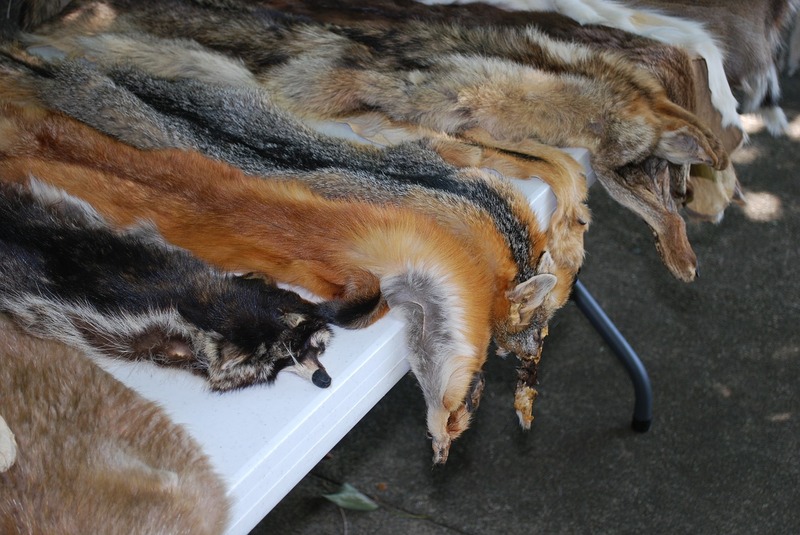 Hopefully the trappers discard the flesh of the animal to be eaten by other forest animals. Therefore the hide is the part wasted. The life of a sentient animal is taken. Now consider factory produced animals killed for human food (chicken, cows, pigs). Factory farmed animals (most of the flesh eaten by humans is not from old fashioned farms) live in cramped, unhealthy conditions with little access to sunlight, or any other part of a natural environment. Factory animals live in misery and then humans slaughter them by the millions. I have not eaten animal flesh for the last thirty-five years — no, I do not eat fish. I am strong, active and healthy. Destroying animals is not necessary for human health. Look up the research.